Dreaming of Spring?Treephilly Dreaming of Spring? 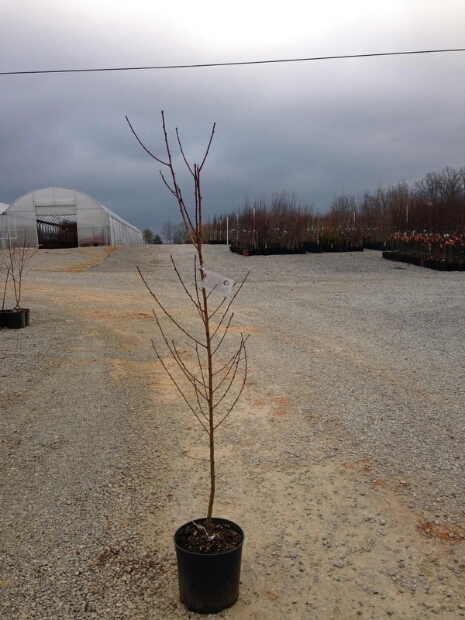 Start thinking about your spring garden and register for a free tree! Spring 2014 Tree List: American beech – Fagus grandiflora White oak – Quercus alba Red maple – Acer rubrum Sassafras – Sassafras albidum Dolgo crabapple – Malus x ‘Dolgo’ Winter King hawthorn – Crataegus viridus ‘Winter King’ Serviceberry – Amelanchier laevis and A canadensis Moorpark Apricot – Prunus armeniaca ‘Moorpark’ Brown Turkey Fig – Ficus carica ‘Brown Turkey’ 20th Century Asian pear – Pyrus pyrifolia ’20th Century’ Contender peach – Prunus persica ‘Contender’ Contender peach at the nursery, just waiting for the tree giveaways so it can go home with someone special!